representing executors and trustees in estate and trust administration, including probate proceedings, marshalling and valuation of assets, preparation and filing of federal and state estate and inheritance tax returns and planning for distributions and cash needs. 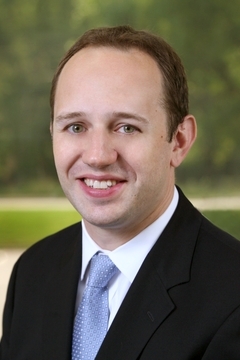 Matt represents taxpayers in all phases of tax controversies before the Internal Revenue Service, the United States Tax Court and state taxing authorities, including audits, examinations, appeals and trials. He has negotiated settlements, offers-in-compromise and installment payment agreements with the IRS and state taxing authorities to minimize the burden of his clients’ tax liabilities. Matt also advises clients on foreign reporting requirements, including preparation and filing of Report of Foreign Bank and Financial Accounts (FBAR) and has guided client participation in the IRS Voluntary Disclosure Program for Offshore Accounts. Matt joined Berkowitz Lichtstein in 2015 after spending several years at a well-respected Tax, Trusts and Estates boutique firm.